Let the love of your life know how much they mean to you. Love and flowers go together perfectly and with FloraQueen's delivery service to over 100 countries you can treat your special someone to the most romantic bouquets whenever you want to share your affections from near or far away. Surprising someone with the most romantic love flowers is easy and we're here to help you make love bloom anywhere and anytime you want your beloved to think of you with a warm smile. What are the best flowers to make love bloom? Sometimes love is about keeping things fresh and new and with a bouquet of well-chosen love flowers, it's always possible to keep things spontaneous. Once your order is confirmed we'll take care of the rest. 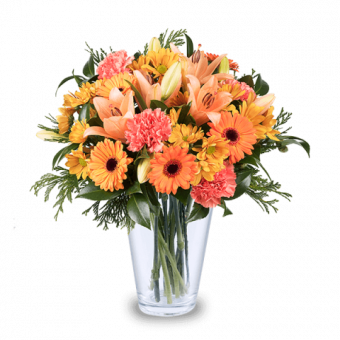 Why to trust FloraQueen with your romantic delivery? We can deliver quickly and effectively to over 100 countries around the world with our international delivery service. 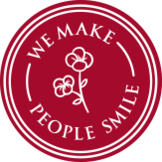 We work with expert local florists all over the world and prepare bouquets ourselves from our facilities dotted across Europe, to ensure the freshest and best quality arrangements can be enjoyed anywhere. We have over 10 years of experience in delivering beautiful messages of love in the form of flowers all over the world and we know how important sending smiles can be.